Interested in Apple history? 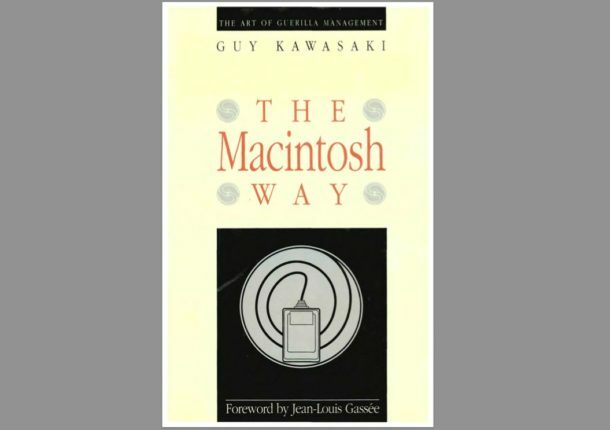 You should download Guy Kawasaki’s book “The Macintosh Way”, which he just made available for free as a PDF right here. Guy Kawasaki worked at Apple from 1983 to 1987 and was one of the employees charged with marketing the Macintosh at its introduction in 1984. It’s about 200 pages long and a good read for anyone interested in the topic of Apple, Apple history, the companies past, marketing, or even just the history of business and technology in general. The PDF file should work fine with any PDF reader on the Mac, iPhone, or iPad. If you’re on a Mac you may want to sharpen the PDF text a bit since some of the pages are slightly fuzzy. The original version seems to have some protection which is causing some users trouble, re-save it or download the new version and open that PDF into iBooks and it should work. This great little giveaway was posted by Guy Kawasaki on his Google+ profile and is well worth checking out. Enjoy! Link is fine and it opens fine on the Mac, but on the iPad it doesn’t load. Open it in Preview in OS X and then save it, I will try syncing and see if that helps. Glad someone else said this. Click *both* links & you end up wasting precious bandwith downloading several megs of 200+ BLANK PAGES. Truly NOT the Macintosh way …. Get it together, Guy. Great book, PDF doesn’t seem to work on the iPad though?? I have found that, on the iPad 2, downloads can only be done from the Mail app, not from Safari. Tried the email. Downloaded it on my computer. Sent it in email. Opened in mail and still didn’t work. Looks like there is a problem with the file and reading it on the iPad. Maybe there will be a solution. OK if you’re having problems reading this, re-save it on your Mac like export it again in Preview then bring that PDF to the iPad by syncing, it will load in iBooks under PDF not under iBooks. With it, I download anything *flawlessly*. 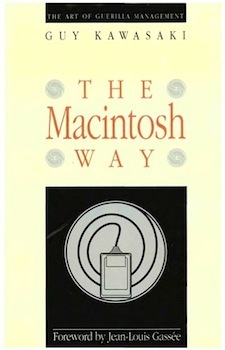 When I try this link for “The Macintosh Way” PDF in the app, it downloads 200+ BLANK pages. I can download ANY other PDFs easily, like these for example > http://pdf.textfiles.com/zines/CGW/ & the app has a OPEN IN iBOOKS button that does just that. But this link here, as I say, wastes preciou$ 3G bandwith downloading a 200+ page BLANK DOCUMENT. Downloading it with a so-called “real computer”, opening it in another app, transferring it via iTUNES > BOOKS or emailing it whatever, etc., etc. is IRRELEVANT. Like I say, EVERY OTHER PDF I download works PERFECTLY, but not this one …. Fix it, Mr. K — of all people, an Apple guy should know the signifigance of this. That new link provided by Mr. Kawasaki’s G+ comments results in a “GoogleDocs” page stating the following: ITEM NOT FOUND …. exporting via Preview seems to inflate file a lot (12MB->120MB). However, good news, after upgrading to iOS5 the original pdf seems to work without any problems. It would be even better if the book was accessible to voiceover. I have a low vision Mac user who would like this book very much.